From the Baldwin County Courthouse, go east on Hancock Street, which becomes Hwy 22, for approximately 5.4 miles to Minor Rd. Turn right on Minor Rd and go 1.2 miles to 221 Minor Rd on the right. Park and gain permission. Walk past the house (in a southerly direction) for 0.2 mile. A guide is recommended. w/o Wm. R. Davis Above ground vault is deteriorating and in need of repair. 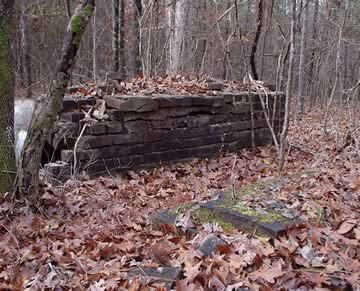 Approximately 15 unmarked graves, slabs or vaults.